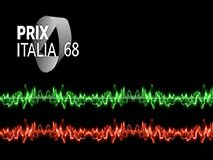 For its multi-layered narration, for its boldness of form and its use of acoustic and electronic non-verbal communication, The RADIO Drama Jury has decided to commend “The Black Bible of William Blake” to Prix Italia 68. In a work that explores the relationship between a woman and her brother through the prism of their father’s death, with highly skilled naturalistic truthful performances, the listener is immersed in a narrative of times past and times present, in a world of sounds and of silences , in a relationship of closeness and of detachment. There are no easy answers to life. The impossibility of communicating is paradoxically communicated in a rich radiophonic soundscape, allowing the listener to explore her own emotions and reflections. A persuasively demanding play that gently forces you to confront the many faces of inescapable Grief.